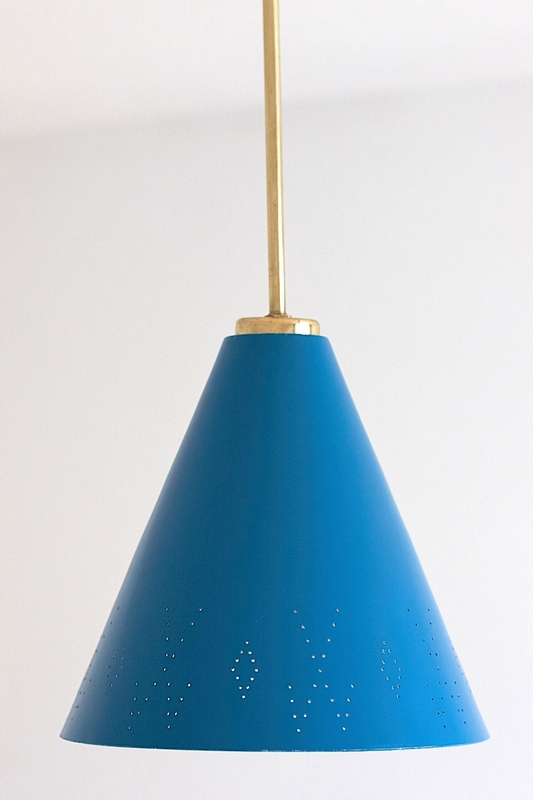 A rare blue pendant or ceiling lamp, with a perforated cone shaped shade. 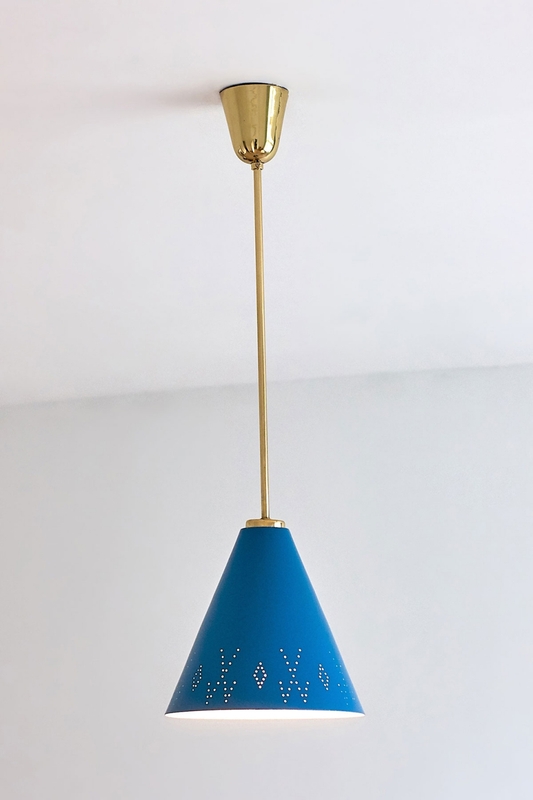 The lamp was designed by Pavoo Tynell and produced by Idman in the early 1950s, and it is marked with the Idman stamp. The pinhole perforations in the shade create a beautiful pattern of light. If another height is desired, the brass stem can easily be replaced by an alternative stem or drop down cable. Bibliography: Idman Oy catalogue 142, page 118. Finland House Lighting catalogue, page 20 (model with two and three shades).